Fans make the coolest things! 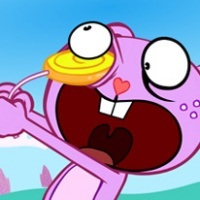 Happy Tree Friends Theme Song Drumm..
Joey Muha, you are a mad genius. This is amazing! We LOVE it! FANART FRIDAY! A bit of everything .. Here we are, a new year, and all kinds of art to show! Lets see what sort of great thing..